2017 Repress , Remixes by Ricardo Villalobos, Butch, Tuff City Kids, Mike S. Cybordelics was founded in 1993 in Stuttgart, Germany. 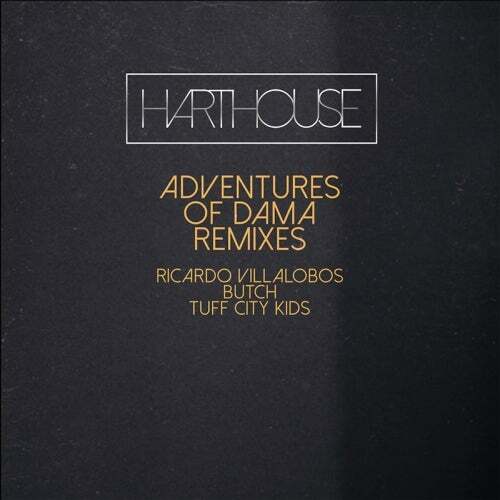 In the same year, Mike S., Milan Zemanec and Daniel Varga aka Cybordelics released their hit Adventures of Dama on Sven Väth&apos;s label Harthouse. The record climbed up the UK dance charts to the 2nd place. People from London to Germany, especially in the legendary Omen Club in Frankfurt, danced to their techno anthems until the late afternoon. Today&apos;s artists like Ricardo Villalobos, Sven Väth, Gregor Tresher, Chris Liebing, Gerd Janson or Anthony Rother were at the Omen club when this record was played for the first time, and they still consider Adventures of Dama a milestone in techno history. 23 years later, the Harthouse label begins 2017 with a Remix EP, featuring remixes by Ricardo Villalobos, Butch, Tuff City Kids starting a new era of the Harthouse story.